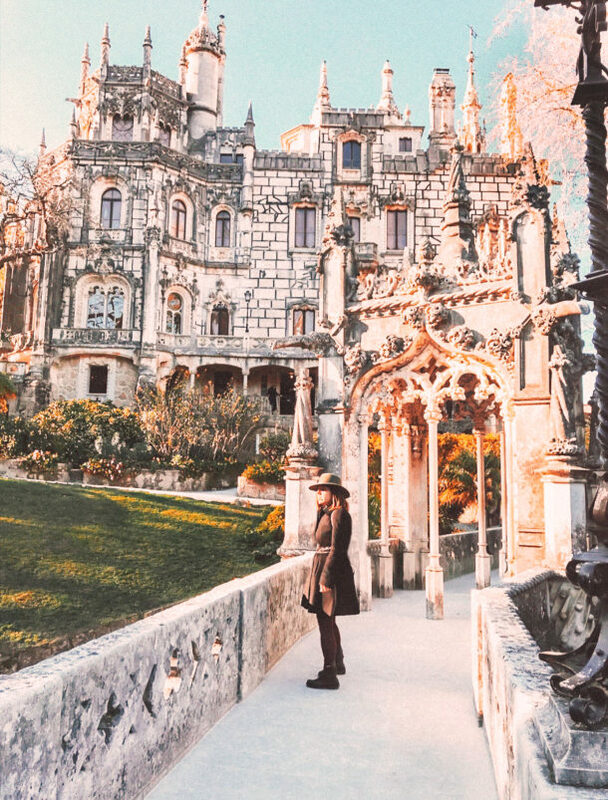 It’s no surprise why Sintra it has become so popular among tourists: it’s literally a fairy tale dream come true. It’s a city situated approximately 20 kilometers from Lisbon, in Portugal. The direct train departs from two main train stations in Lisbon: Oriente and Rossio and it takes only 45 min to get there. 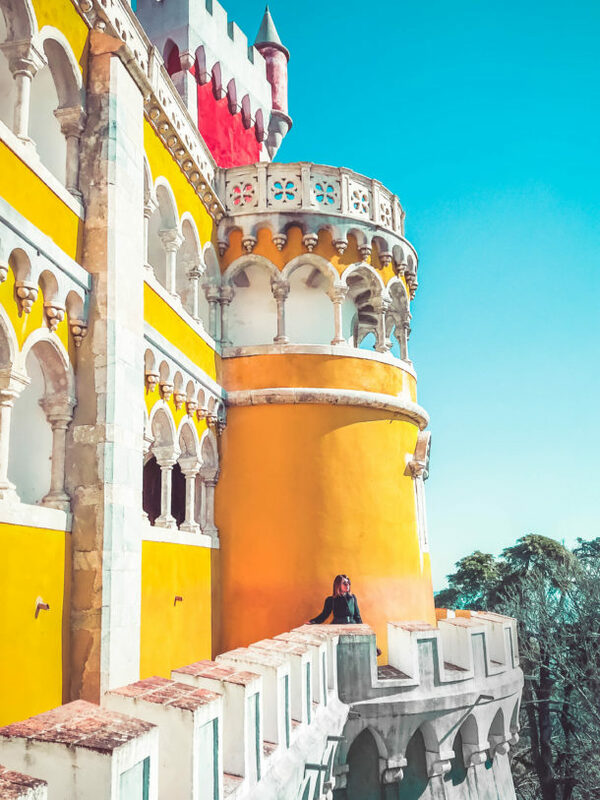 Once in Sintra, jump on the buses n° 434 and n°435 (5€ one round trip/12€ daily hop on hop off) and head to the most beautiful and intriguing places part of UNESCO World Heritage Site list. Some tech tips will help to enjoy the fairy tale even more! Although I’ve searched a lot to find a specific guide about Sintra, I couldn’t find anything but some few pages in Lisbon travel guides. That’s where tech and dedicated mobile app come into help. If you look at the video below you can definitely see what an intense day has been. 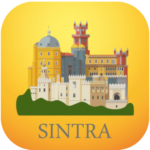 We got the most out of Sintra thanks to several apps that have been very helpful and funny to use. After the video you can find a comprehensive list of all the apps you can download! Enjoy! 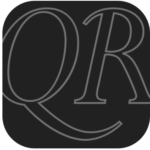 This app from eTips LTD is a very practical tour guide since you can use it by itineraries. There are 4 different itineraries for the city according to the number of days that your trip has. Plus is made to be used without an internet connection. 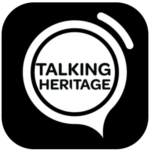 Parques de Sintra now provides a free interactive experience thanks to the Talking Heritage mobileapplication. Visitors can now access information about the various spot with panoramic photographs, 360º, audio and video, as well as features to support inclusion such as sign language, content vocalization, movement control and GPS location. Moreover, this interactive and unique experience is enhanced by augmented Reality technology installed at various key points, allowing visitors to foundout more information about the area. 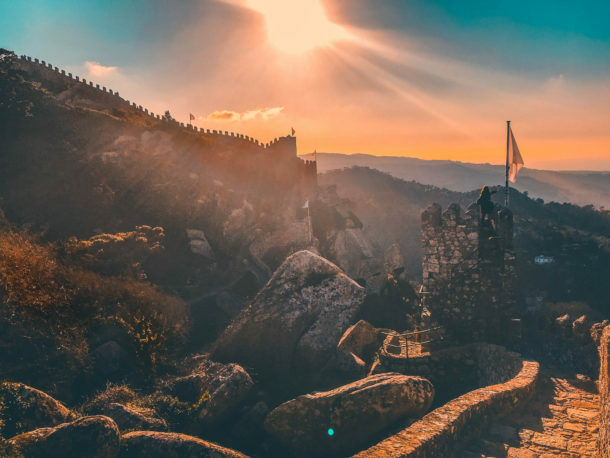 The application also provides images captured during the archaeological dig at the Moorish Castle, which took place in areas which are no longer visible. Download it to prepare the visit downloading the routes, then access detailed information while you’re there! 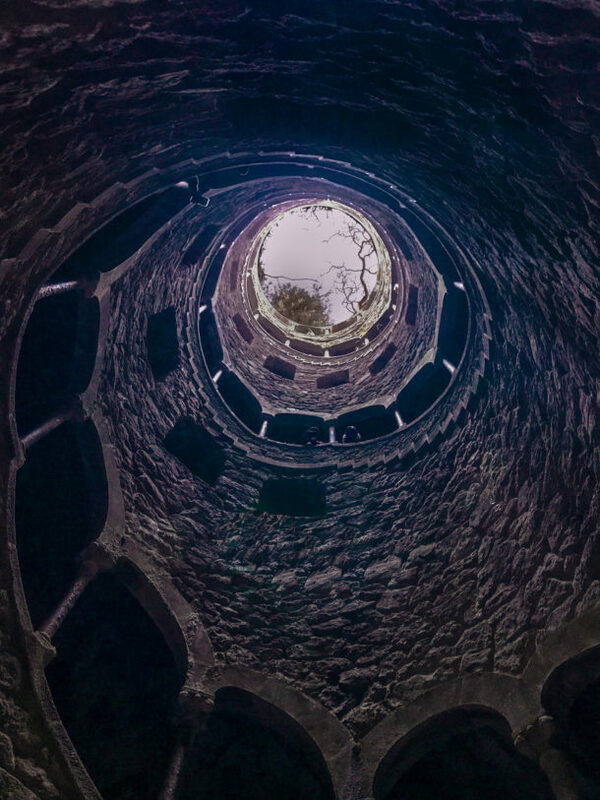 The reality mixes with history and technology in the Quinta da Regaleira app. Throughout your trip, you will cross with D. Sebastião and the terrible Medusa, going down wells and through secret passages. 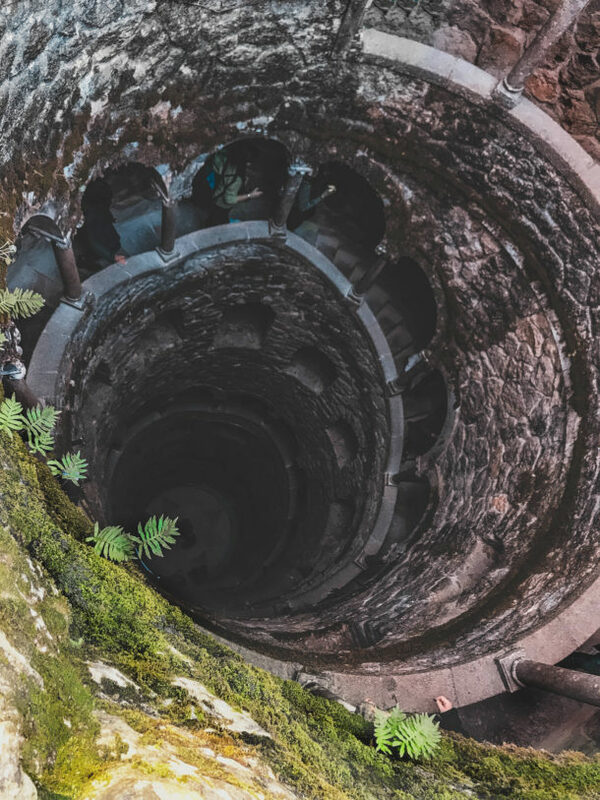 Look at Quinta da Regaleira like you’ve never seen it with the help of augmented reality and strage characters! You can also visit the Sintra Myths and Legends interactive center for a sensory and contemporary storytelling experience through 17 different spaces and more than 40 experiences. Admission fee is 4,50 € We enjoyed it soooo much. It gives you also a bit of background before visiting the different places. This video by JWT agency gives you some hints on what to expect. 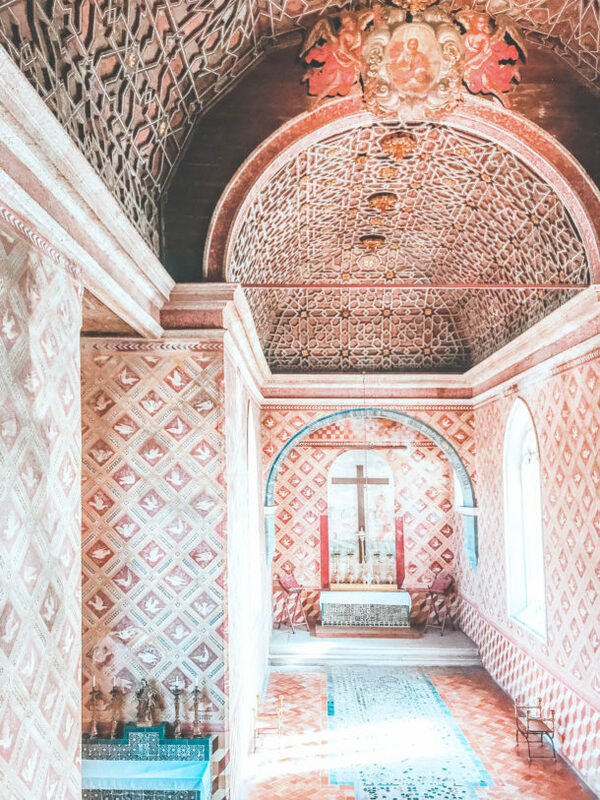 This interactive centre invites visitors on a journey into the mysticism, secrets and romanticism of Sintra, through history, music and literature. The exhibition involved the participation of a team of architects, set designers, writers and historians as well as experts in audiovisual technology, holograms, sensory effects, augmented reality and 3D film. You can enter a tunnel that simulates the Initiation Well, or live the immersive experience of being aboard a ship seeing the Adamastor giant while enveloped by ocean waves; or even, using scenery and real size holograms, see the recreation of the pagan universe. Have you ever been to a magical place like this? 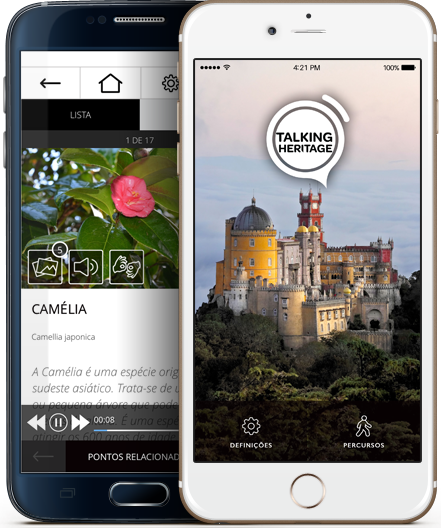 Tagged app, AR, blog, design, digital, digitali, digitalinnovation, mobileapp, portugal, sintra, technology, tips, trends, VR. thanks Reagan! Have you been there?